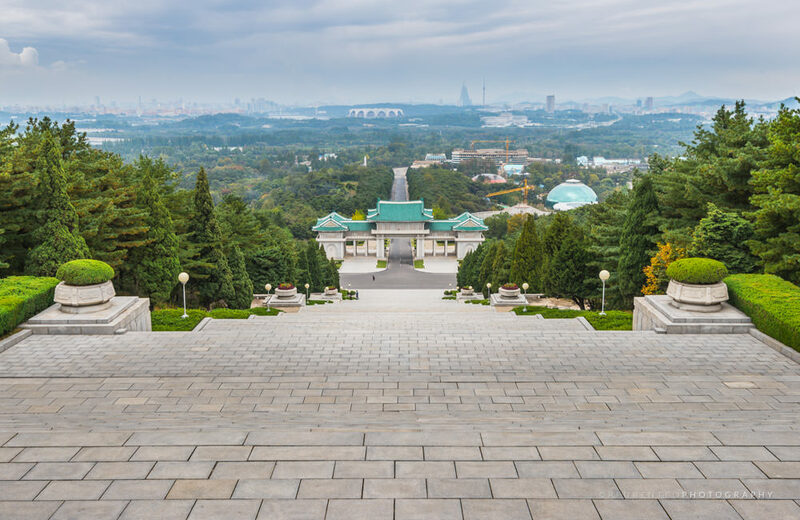 A clear day is best to enjoy the view of Pyongyang from the hillside. Built in 1975 and renovated in 1985. The graves of some very notable people can be found here. 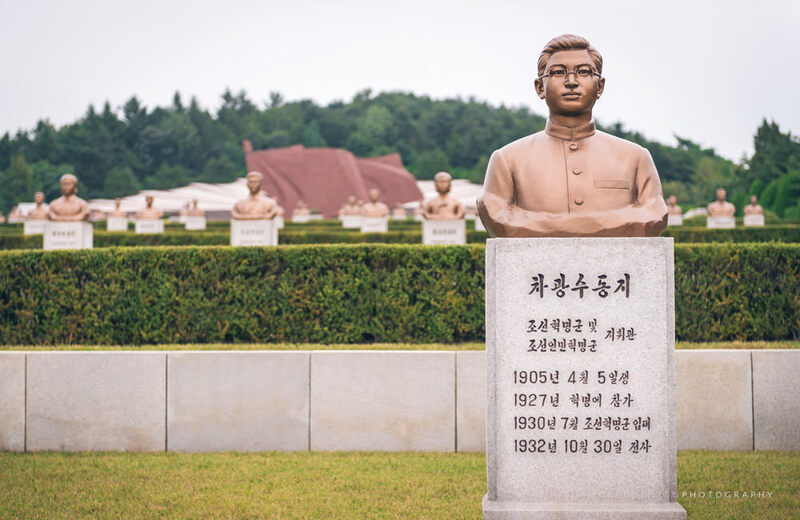 The grave of Kim Jong Suk, wife of Kim Il Sung and mother of Kim Jong Il, can be found at the top of the cemetery. 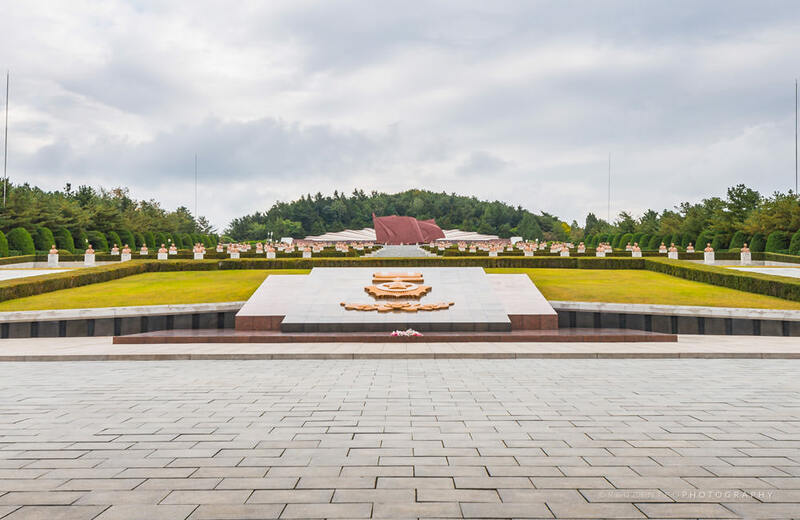 Kang Pan Sok, Kim Il Sung’s mother, and Kim Chaek, military general and comrade in arms to Kim Il Sung, are also buried here. The entrance to the cemetery is decorated with a large traditional style gate.